If you are planning a trip to Disney World to see the Christmas decorations you may be wondering when those decorations actually go up! 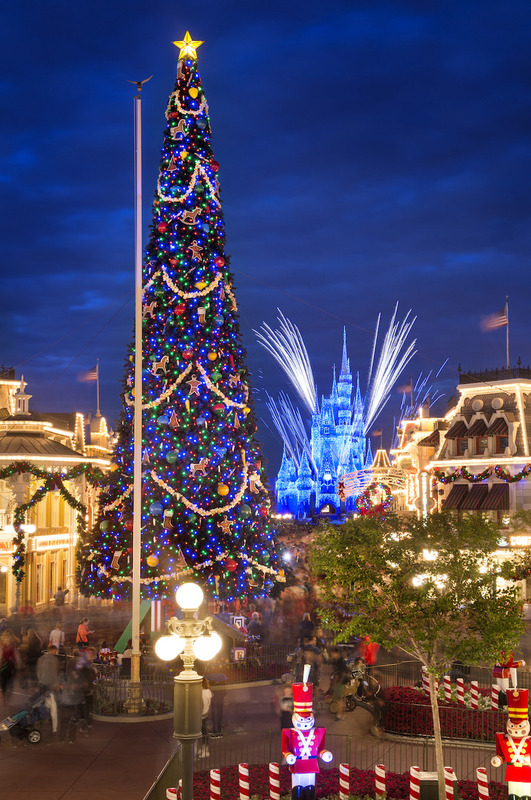 Because of Mickey's Very Merry Christmas Party, Magic Kingdom gets decked out first - and the entire process happens in the days between the last Mickey's Not-So-Scary Halloween Party and the first Christmas party (which is typically about a week later). By the time of the first Christmas party (which is usually around November 8th-ish) the park should be entirely decorated except for maybe the giant tree. When that goes up can depend on the the Christmas parade taping they do for ABC. Because of its size, the tree can interfere with the taping so the generally leave it down until they get all the shots they need for the show. When (and where) the parade taping happens used be easier to predict but Disney has been changing things up in recent years. But, even if the giant tree isn't up when you go, you'll barely notice it missing with all the other decorations! The decorations at Hollywood Studios typically go up before those at Magic Kingdom. However, unlike Magic Kingdom where the majority of decorations reside in one spot (on Main Street U.S.A.), Hollywood Studios has some of the most immersive decorations of all the parks with decorations sprinkled throughout. Even though they don't have the special party like Magic Kingdom, they do have a couple of amazing nighttime shows for the holidays: Sunset Season's Greetings & Jingle Bell, Jingle BAM! The other 2 parks (Animal Kingdom and Epcot) generally find themselves completely decorated shortly after Magic Kingdom and Hollywood Studios. 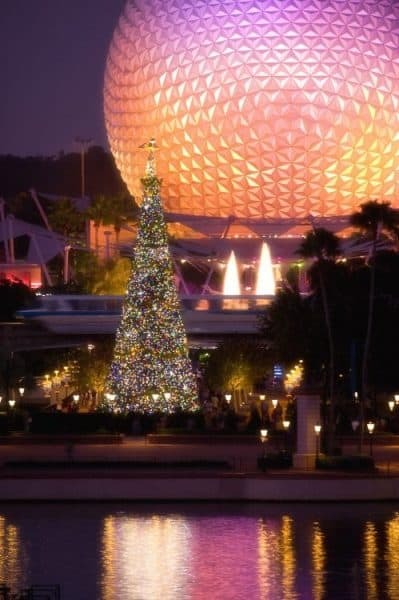 Epcot has special holiday offerings too, like the Festival of Holidays and the Candlelight Processional. Traditionally those begin right around or, like in 2018, shortly before Thanksgiving. Putting up the decorations at the resorts is a gradual process which starts in the days during the first week of November and continues through those leading up to Thanksgiving. 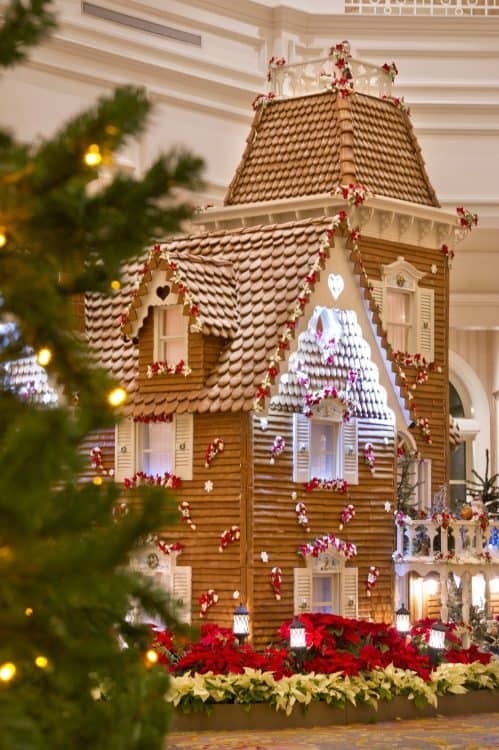 Not all resorts are decorated at the same time and which resort gets decorated first varies from year to year. So, just because you saw XYZ resort decorated the 2nd week of November last year doesn't necessarily mean that you'll see the same thing this year. 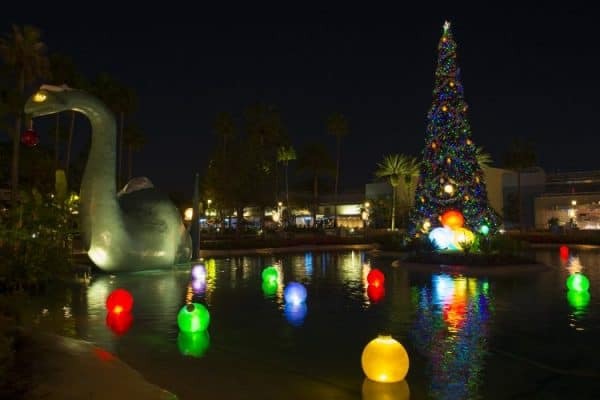 In recent years Disney Springs has been seeing lots of holiday action, too. Decorating there starts in early November and look for the opening of their premier holiday event, Christmas Tree Trail, to happen around mid-November. 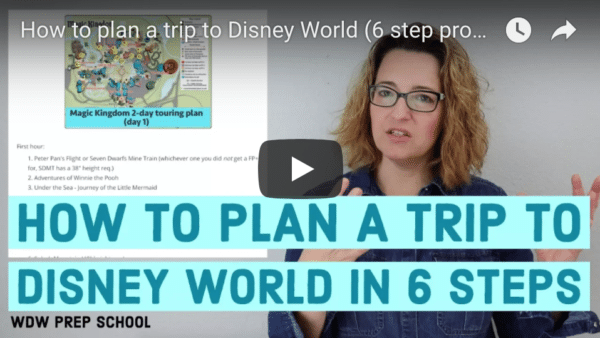 If your goal is to see all the holiday decorations at the Walt Disney World parks, resorts, and at Disney Springs, plan your trip for anytime Thanksgiving or later. If you opt for any sooner than that you'll likely catch all the parks mostly decorated but you could possibly miss some of the decorations at the resorts. But, don't wait too long, either. 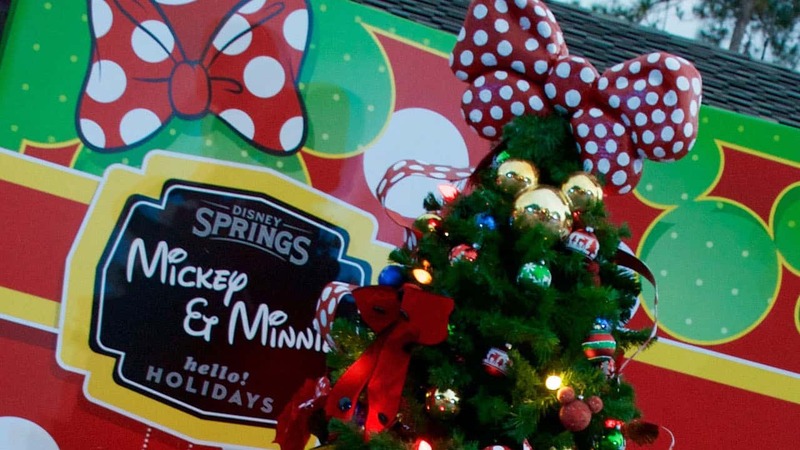 The Christmas decorations at Disney World come down shortly after New Years Day! What is replacing La Nouba in Disney Springs?